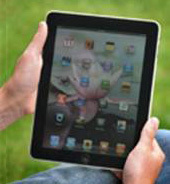 NuShield's AG™ antiglare film has been specially and uniquely formulated to withstand the constant tapping and typing that so many modern LCD screens undergo. 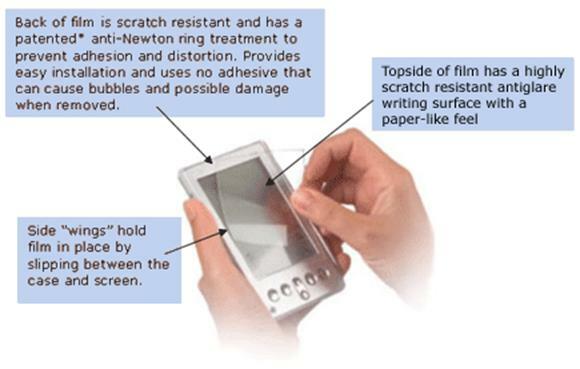 Whether your screen is tapped by a stylus or by the tips of fingers, AG film will render scratches and other forms of damage to your screen a thing of the past. The genius of antiglare film comes from its slightly rough surface, which works to scatter reflected glare in any number of differing directions. The end result is that the ill effects of reflected glare are greatly minimized. NuShield's AG antiglare film offers highly improved scratch resistance, along with significantly lower haze. It also offers Newton ring protection that is far superior to that offered by similar products. Aside from simply minimizing surface glare, however, the AG film's antiglare coating will also reduce the appearance of images that are often reflected, in a mirror-like manner, in your screen. 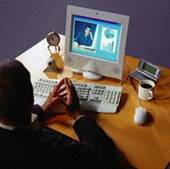 Viewing angles, in other words, will be greatly enhanced, and you'll never need to hold or position your screen just so in order to reduce glare or mirrored reflections. You'll also find the appearance of fingerprints significantly reduced. For the vast majority of applications in which a screen bezel surrounds your display, NuShield antiglare films do not use an adhesive. Instead, the AG film is installed by inserting the edges between the case and the screen itself. One often overlooked benefit of this particular attachment involves the fact that with no trapped air, you'll never have to bother with air bubbles sneaking under your screen protection film. If your screen happens to be sealed, or if your device features an edge-to-edge glass display, there's no need to worry. In those situations, NuShield uses a 3/16” wide low-tack adhesive strip around the film's perimeter. For more information about installation, see our How to Install page. The patented *US patent #7,070,837 anti-Newton ring treatment on the underside of the AG film eliminates optical distortion; it also as prevents adhesion. What's more, no special cleaning products are required to keep the film in top operational shape; it can be cleaned with rubbing alcohol, and with normal household cleaners. For more information, please see our antiglare film Specifications page. All NuShield films are RoHS compliant and do not contain any of the prohibited listed materials. Further information can be found on the RoHS Compliance sheet below.